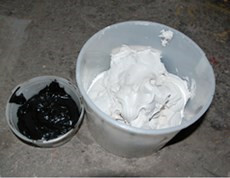 Polysulfide Sealant - MUHU (China) Co., Ltd. It is a two-part, self leveling or gun-grade, polysulfide sealant, which effectively seals joints that are subject to structural or thermal movement, as well as non-moving joints, against infiltration of water and dirt. It will effectively prevent water from entering the sealed joints and thereby eliminate erosion of the soil underneath the slabs, particularly areas which are exposed to water frequently, such as swimming pool decks and around planters. All coping joints and deck joints should be sealed. In adobe soil areas, unsealed joints may cause swelling of the soil and subsequent buckling and cracking of the concrete slab. 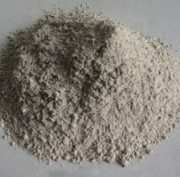 It is used in the anti-leakage treatment for expanding joint, or settlement joint between underground connected way and major structure for factory floor, sewage reservoir, neutralizing pool, circulatimg pool, cooling tower, and cable ditch for chemical and acid resistance, where corrosion is a concern. 1.High workability and advantages of water proof, oil and chemical-resistance Wide application scope. 2.Strong adhesive and cohesive force to most building materials such as metal, concrete, glass, 3.Ceramic, wood, lime, stone, plastic etc..
4.Used in room temperature curing with controllable speed and corrosion-resistance. 5.Having the properties of low Modulus, High Elongation and Elasticity, It can stand continuous, apparent, cyclic motion. It can work for a long time in continuous stretching and Vibration and temperature variation.